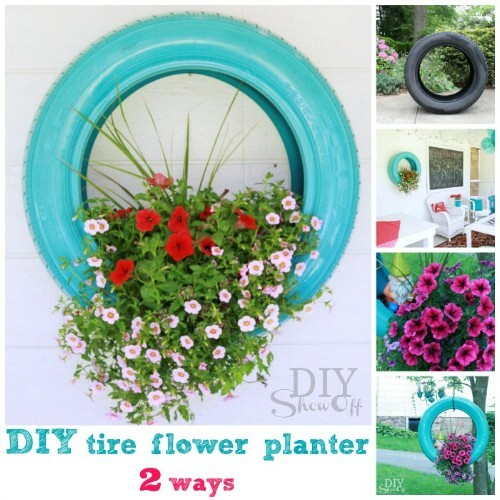 Old tires are normally thrown out or at the very least end up sitting around in the garage or yard collecting dust. 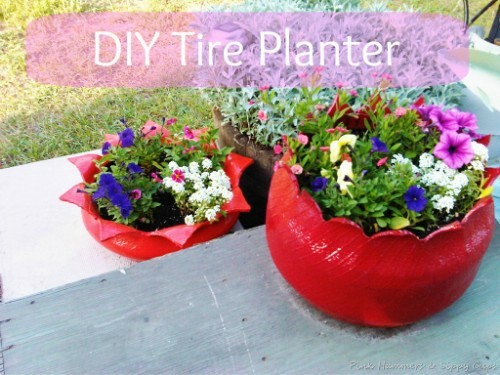 Instead of throwing them out or letting them sit there making your yard look cluttered, how about turning them into something useful? 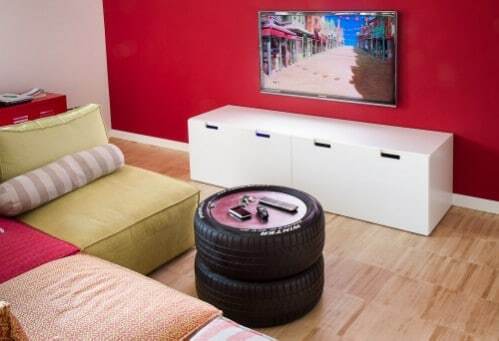 Rubber is very durable and soft because of its elasticity and it is very easy to work with in terms of crafts and DIY projects. 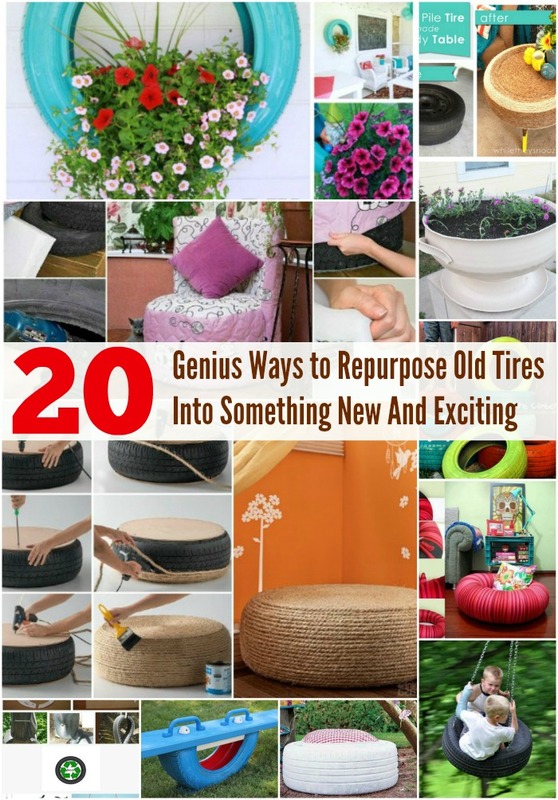 The next time you have your tires changed, ask to keep the old tires and then take a look at the 20 different ways we have for you to repurpose those old tires into something new and exciting. 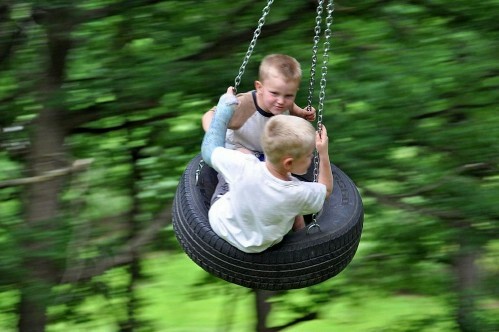 If you have kids or grandkids, you know that outside play equipment can be very costly. 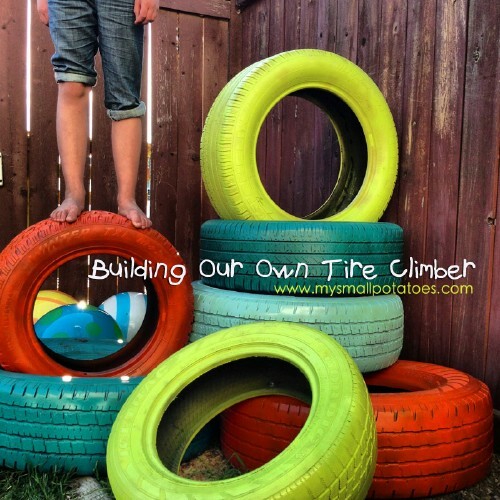 Instead of investing a few hundred dollars in a jungle gym of sorts, why not turn those old tires into a great tire climber and kill two birds with one stone? 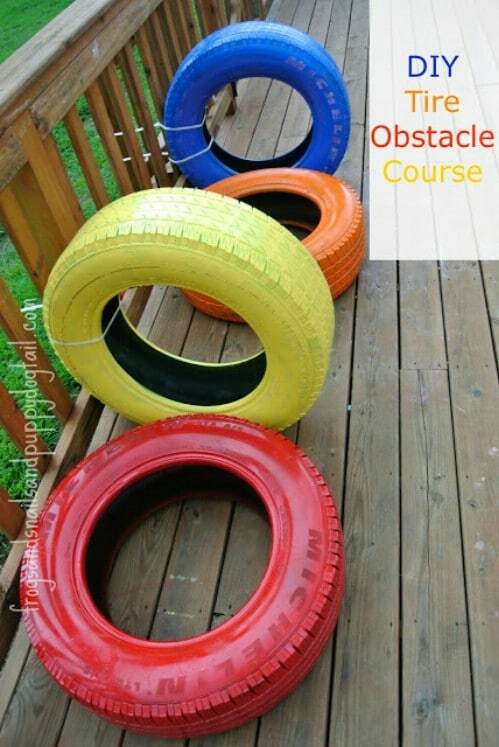 Just paint the tires bright colors and stack them up however you want to create the climber. 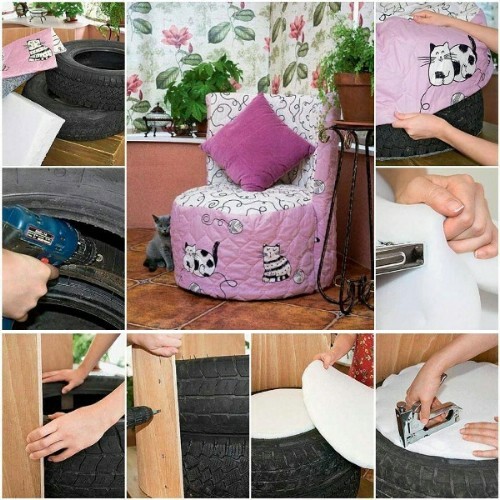 You will need to bolt them together to make them safe but it takes very little time and this is something that you can create for free if you already have tires and paint on hand. 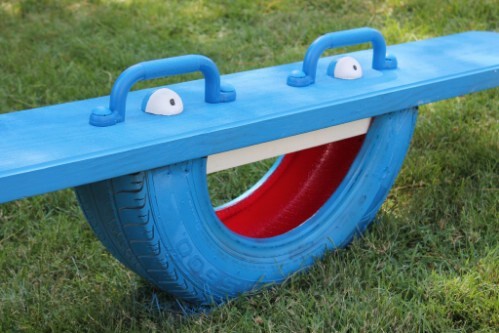 My truck has a tire that’s lost it’s tread. 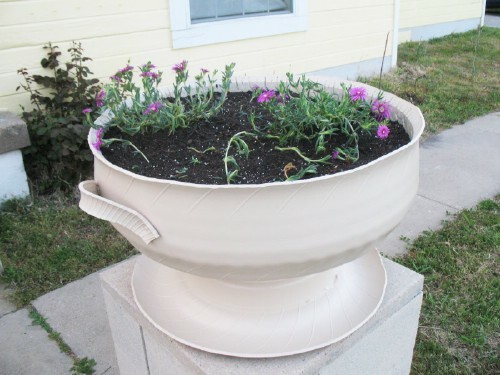 I’ve got a spare to replace it with, but I didn’t know there were so many ways to re-purpose them! 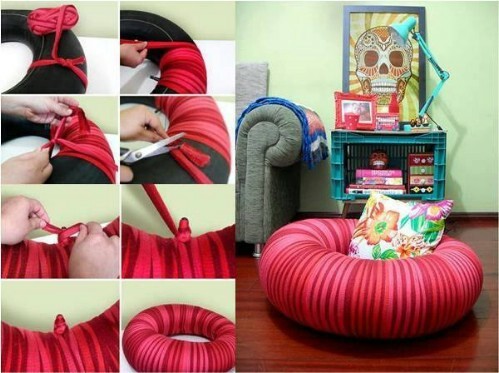 I especially love the rope ottoman. 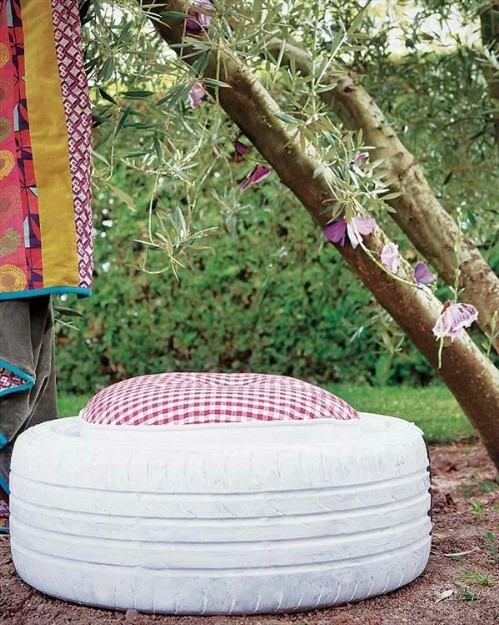 This would be fantastic in my home, it would compliment my furniture so well. 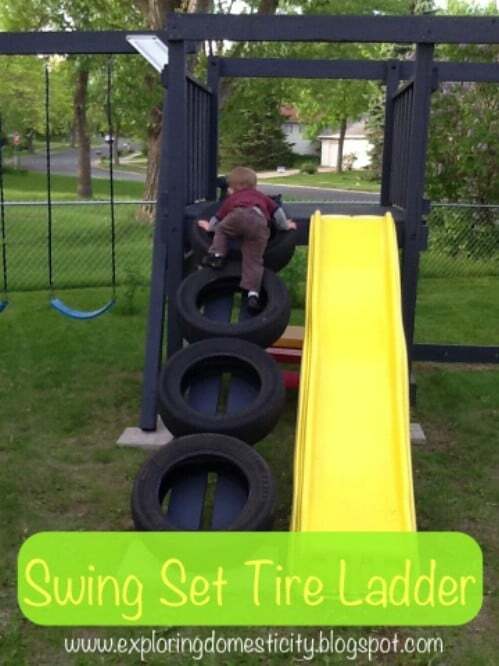 Thanks so much for the ideas! 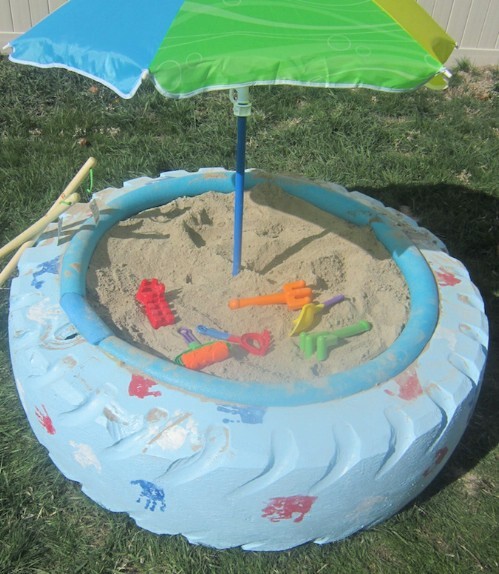 Can you tell me what kind of paint to use for the tires, I’m doing planter’s with some, and not sure what type will, not peel off season after season, help? 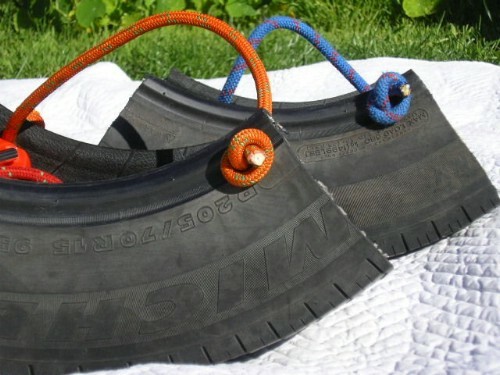 Would like a idea for a reindeer make iut if tyres. I had a snowman,xmas tree and a santa claus. 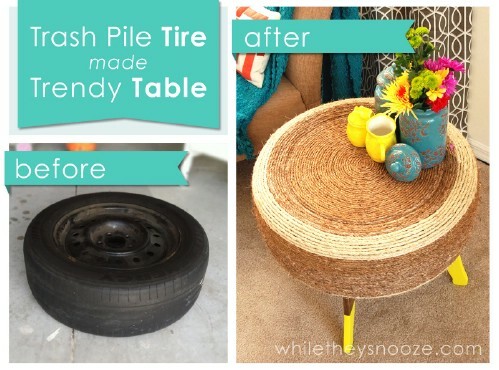 Where do I get old not used anymore tires for theses crafts ! 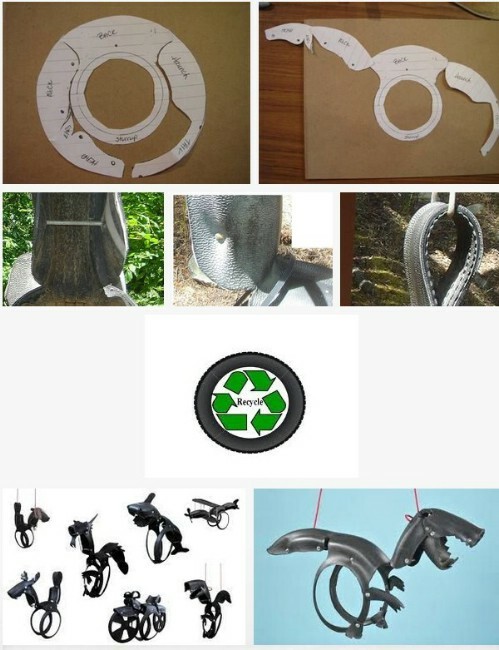 The car dump! 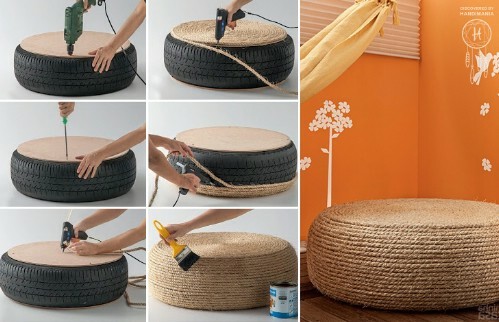 Where wound I get old not used anymore tires of all sizes !! 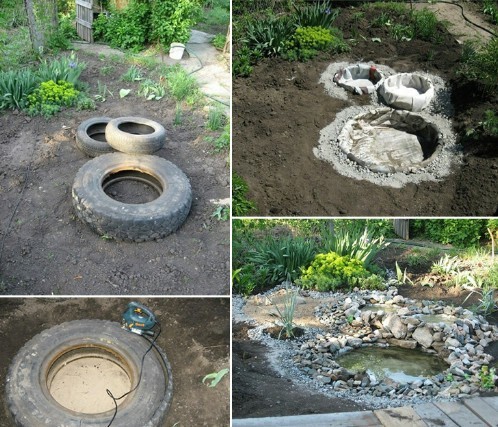 The dump! 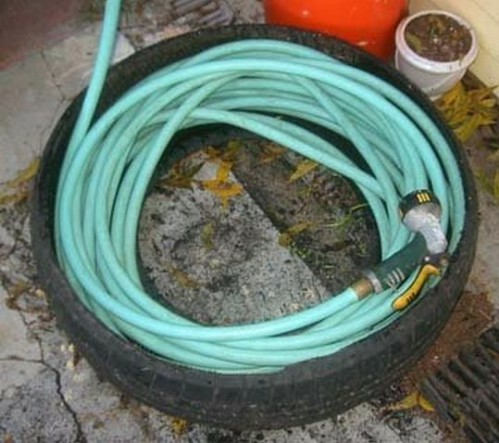 Local car tire dealers should be an option, people leave old tires there when they get a new set. 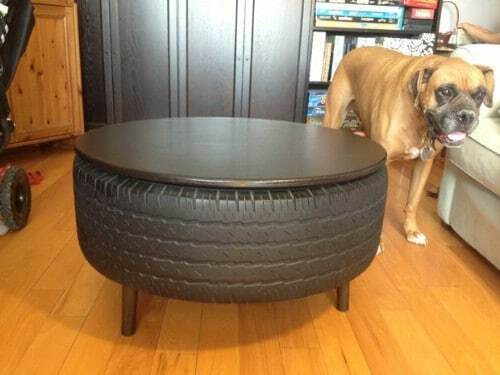 Can you give me ideas on how to make a dog bed out of old tires? I have two large dogs that destroy their won beds.. Please help.